How important is your IT infrastructure to your business? How long could your business continue without computers? Do you have a plan to recover data in the event of a hardware failure? Here is a partial list of common services required by any small business that relies on computers. For more information, contact our sales office. Q: Why can’t I use a desktop machine instead of a server? A: The main reason to use server hardware is so that repairs can be performed with minimal downtime. What that means to your business is - how many hours can my employees be productive, if a server goes down? Even if the impact is minimal, which would be unusual, it may take several days to find compatible parts. Not only that, but the machine is down from the moment of the hardware failure, until someone shows up with a part and replaces it. With a server, some parts are redundant, and hot-swapable. Q: What is a hot-swapable part? 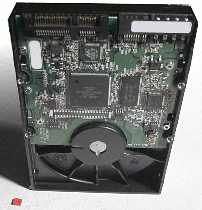 A: A hard drive is a good example of a hot-swappable part. Desktop machines must be shut down in order to replace a hard drive. The downtime can last serveral hours, or days. On a server that is properly configured, if one drive fails, a spare drive can take over, and the server continues to function. Then the failed drive can be swapped out at any time. During the whole process, the users never noticed a difference, and the server is back in it’s fault-tolerant state. That is called zero downtime. What will it cost to set up and manage a network? A full-time, certified, experienced, Network Engineer can cost $75,000 to $150,00 per year. Your business may not be big enough to require full-time support, but it still requires network setup and administration. To keep things in perspective, to manage a network for anything less than $6,000 a month is a bargain. Every business is different, but you can use the number of employees, or number of computers as a guidline. For example, if you have more than 30 computers, or three servers, the work requried to properly manage the network is probably approaching full time. Some projects can be performed for a fixed rate. For example, to rack a server and install the operating system, it generally takes one to two days. For more complex installations such as mail, web, or database server, it can take several days to several weeks. If customization or programming is required, it can take several months. Standard Network Engineering rates vary between $150 and $250 per hour, depending on the nature of the work required. Desktop and application support may be less expensive, but when you need experienced server experts, contact us. For more information, contact our sales office to set up an evaluation appointment. What is the Cost for Server Support? The hourly rate varies between $150 - $250 per hour for normal daytime support. Monthly support contracts are also available. Note that rates are often tied to the amount of time a job will last. A plummber on an emergency call, for example may solve a problem in an hour or two, whereas an electrican in new construction may work on a project for days. It should be clear to see that rates for any service are based on many factors and may vary. Q: What is the average hourly rate for a licensed plummer?